Beaver Creek is the largest tributary to Muddy Creek, a major valley floor tributary to Marys River. Its headwaters originate on Flat Mountain (2,700′) southeast of Marys Peak in the Coast Range. Draining about 14,800 acres of land, the principal Beaver Creek tributaries are Starr, Duffy (Gleason), Henderson (Bryant), Mercer and Powell creeks. Species of conservation interest in the Beaver Creek sub basin include cutthroat trout, Pacific lamprey, Oregon chub, and native fresh water mussels. A Rapid BioAssessment was conducted in Beaver Creek in 2009, setting the stage for a multi-phase stream restoration effort. Beaver Cr Rapid BioAssessment 2009 After a series of neighborhood meetings, elements of a restoration strategy emerged, focusing on fish passage, increasing channel-floodplain interaction and stream shading to address high summer water temperatures. View the draft Beaver Master Plan (PDF). The first restoration projects (2006) addressed fish passage barriers,to provide full access for aquatic wildlife in all seasons of the year. Improving in-stream habitat [let’s make the word In-stream a hot link] and floodplain interaction were the next priority. A multi-year series of streamside [link] plantings will increase stream shading. To date, twenty-one Beaver Creek landowners have partnered with the Watershed Council to implement projects on their lands. 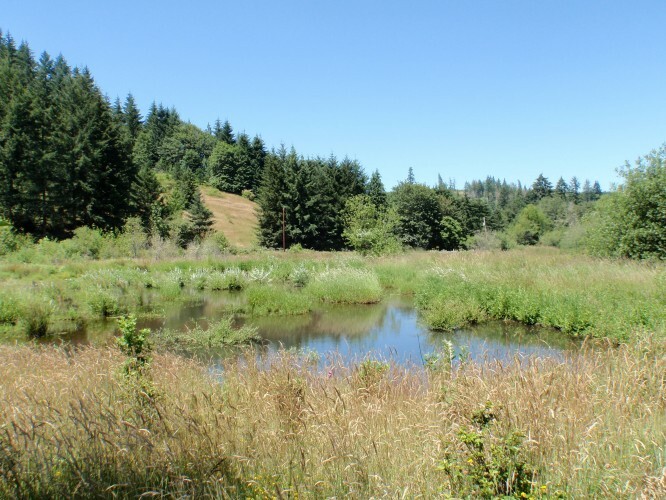 Partners in the Beaver Creek restoration effort include Oregon Watershed Enhancement Board, Bureau of Land Management, Finley National Wildlife Refuge, ODFW Restoration and Enhancement Fund, William T. Haswell Environmental Fund, Meyer Memorial Trust, and participating landowners.